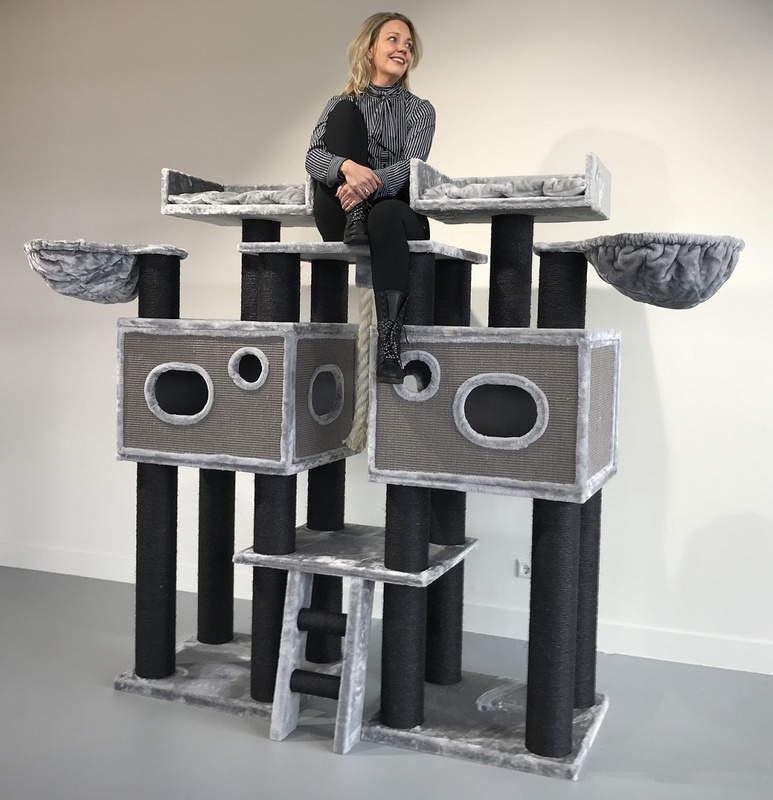 Cat tree for large and big cats Royal Cat Palace Blackline Light Grey by RHRQuality is a paradise for cats that are very tall and strong with 15cmØ thick sisal trunks and over 100kg total weight. 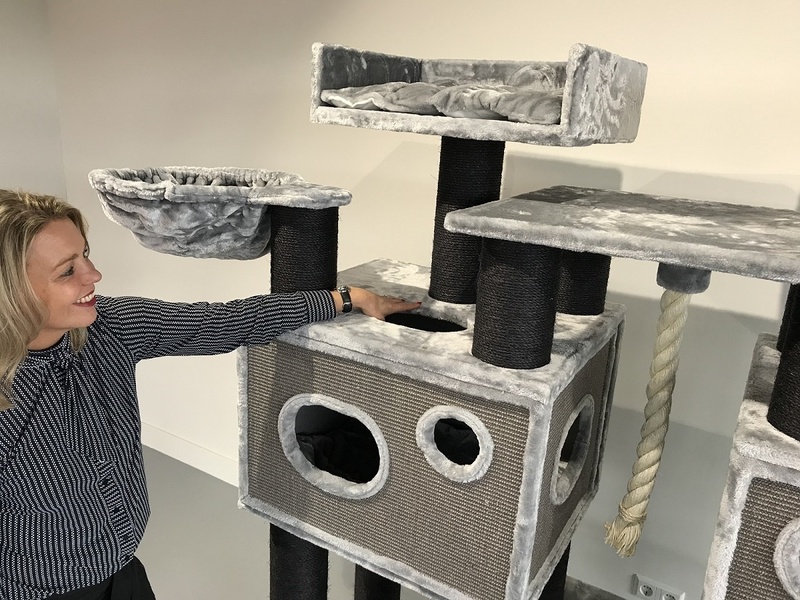 Also ideal for big or heavy cats. 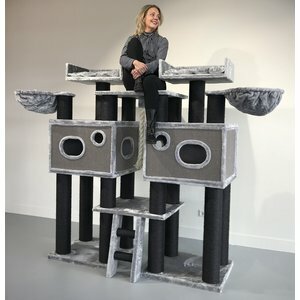 Cat Tree for large and cats big cat Royal Cat Palace Blackline Light Grey by RHRQuality is a paradise for cats that are very tall and strong with 15cmØ thick sisal poles and over 100kg total weight. 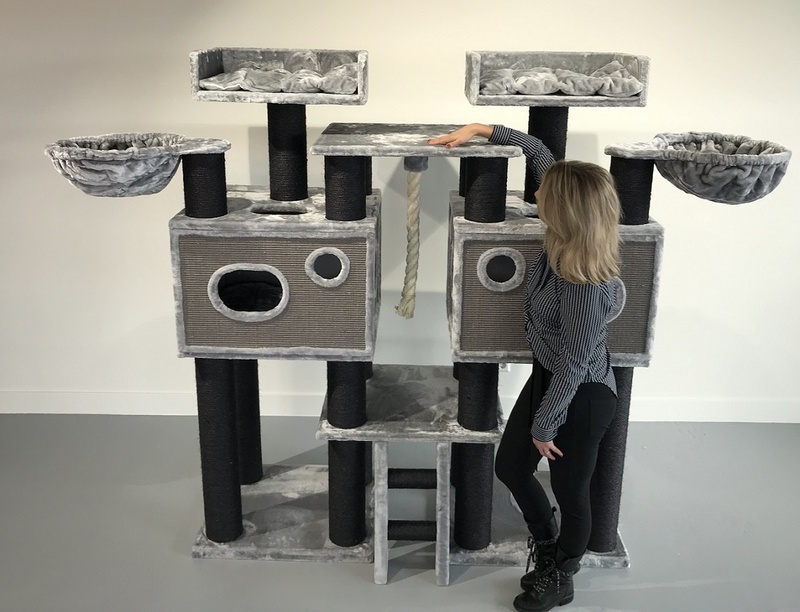 Also ideal for big or heavy cats. 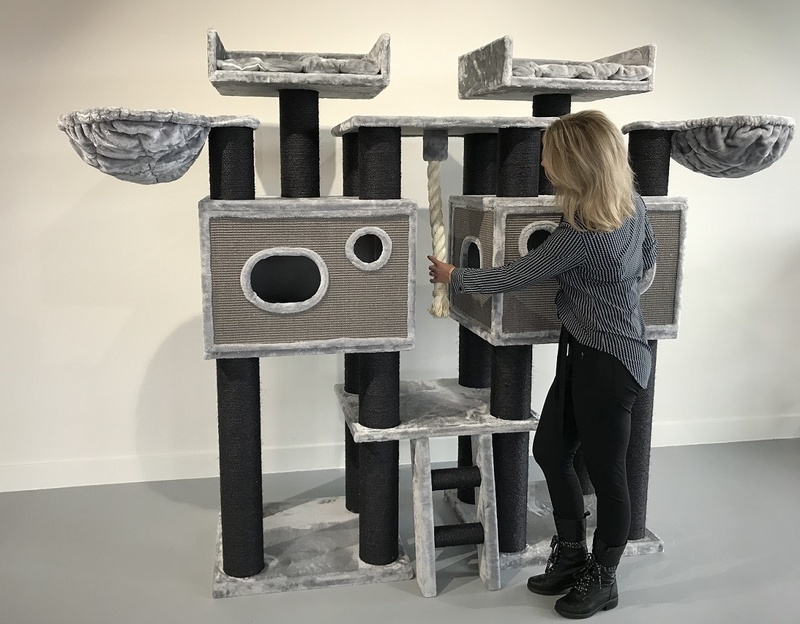 This cat tree offers many scratching options for scaling the sisal poles or the sisal-covered playhouses. In the playhouses, there are wonderfully soft stitched cushions that are removable and you can also find them in the top management seats. Here they are attached with Velcro. The playhouses are B70xD61xH51 and have inputs and outputs on the side, front and top. The special hammocks on the top (combination of a hammock and a pillow) have a diameter of 45 cm and are tested up to a weight of 20 kg. Made of extra thick super soft plush. At the top are two large seats board of B60xD43xH15cm to be turned with a removable pillow that is attached to velcro and a very large berth 70x60cm. - Sisal poles are 15cm and the 6mm thick natural sisal is glued to the posts. (If your cat scratching does not roll the sisalof the pole). 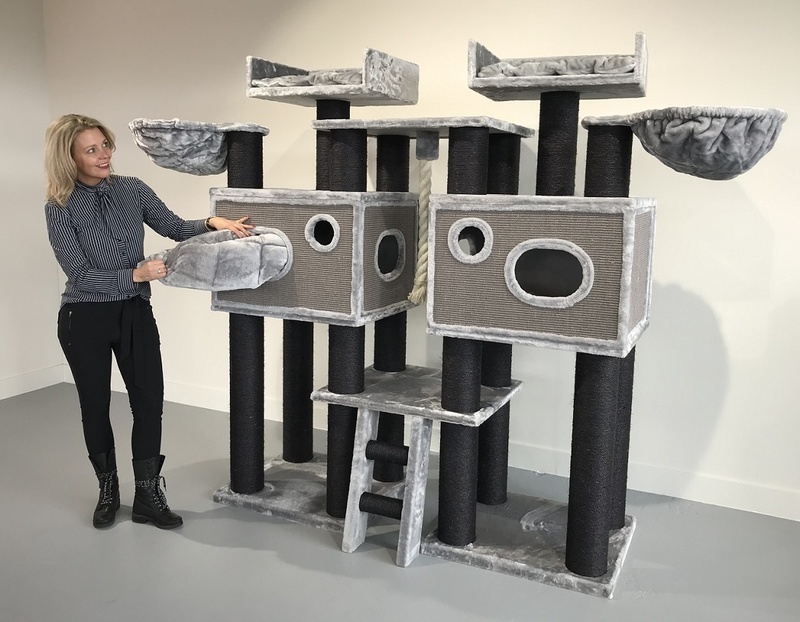 - This scratching post is more than 100KG overall and extremely robust. Falling or moving because your cats are playing is unimaginable. 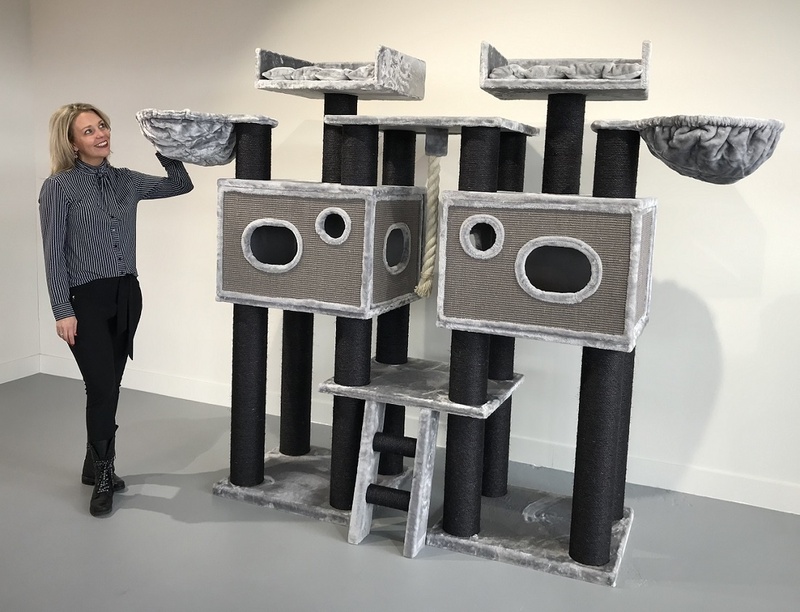 Required minimum: 170x60cm (without steps and with hammocks twisted inwards). 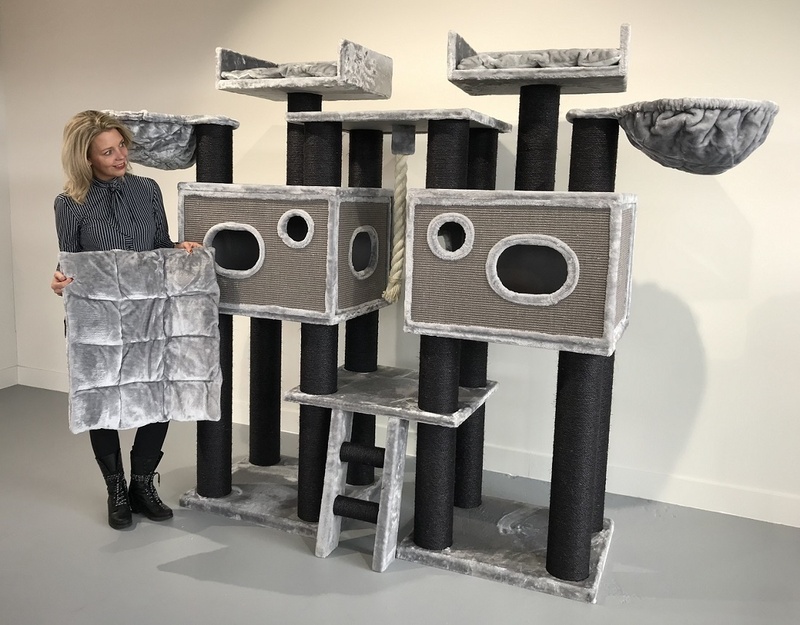 Play houses: 70x61x51cm with removable cushion (2x). Covered outside with sisal cover. Holes at the front and sides 25x18cm oval. Hammocks: Rotatable and 45cm lying surface and tested up to 20kg carrying weight. New model 2018. Combination so hammock and cushions. 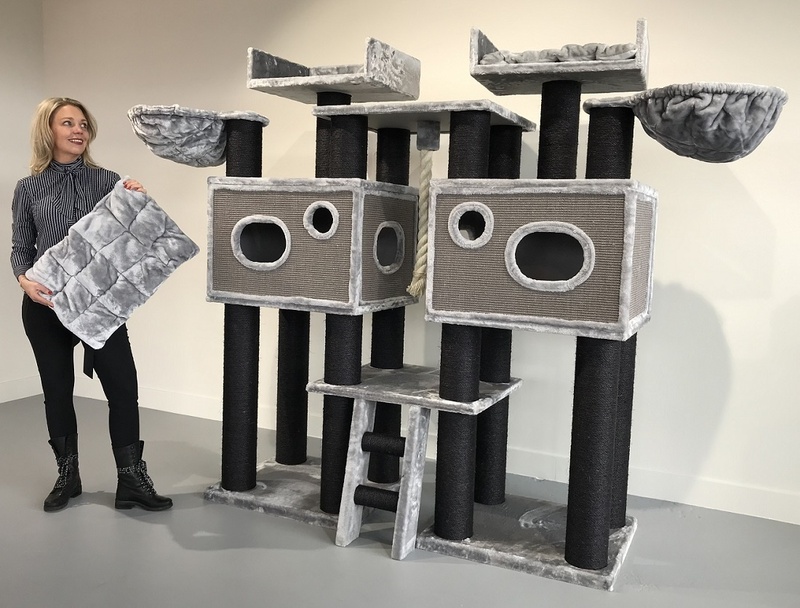 Unique: With all scratching posts from RHRQuality you can reorder all parts.